The recent incident at Marjory Stoneman Douglas High School brought to the forefront concerns about gun safety and campus security on all school campuses. 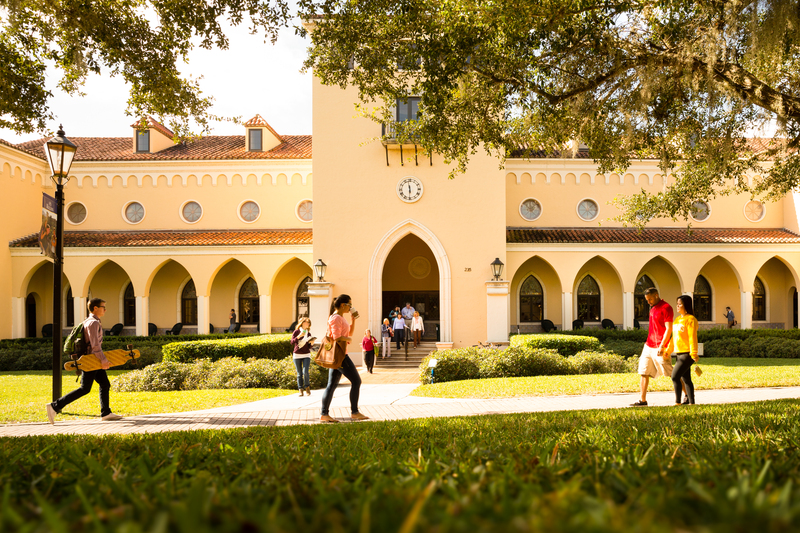 With Rollins’ open campus, Campus Safety is well-equipped to handle any potential threats; however, the success of their strategies relies on the proactiveness of the Rollins community. Ken Miller, assistant vice president of public safety, acknowledged the safety concerns associated with having a campus that is accessible to the wider community. Miller stated that Campus Safety has tried to limit access points and add appropriate security systems to help control access and improve security. “However, by our very nature, we are an open campus, and the steps we take are done to mitigate, not eliminate potential threats,” he said. However, these tactics succeed at Rollins because of its small size and close-knit community. In the event that an immediate threat to campus security is identified, Campus Safety activates the R-Alert emergency communication system to provide the Rollins community with timely information through text, email, and phone. In the case of an armed individual on campus, the R-Alerts would notify students and faculty to implement the Shelter-in-Place policy. After initial R-Alert emergency communication, all information and updates are made available on the website: emergency.rollins.edu. Campus Safety is required to conduct a minimum of one Emergency Response test per year. This test may be in the form of an exercise and a drill, which tests a procedural operation or technical system. The R-Alert emergency communication system is also tested on a regular and annual basis. Extra testing is conducted in April, during Severe Weather Awareness Week, and September, during National Preparedness Month. If you ever witness any suspicious or unusual behavior from individuals on campus, report it to Campus Safety at 407-646-2999. For your safety and the safety of the community, it is imperative that each of us remain aware and vigilant. • If you are inside, stay where you are. Collect emergency shelter-in-place supplies and a telephone to be used to communicate. If you are outdoors, proceed into the closest building quickly or follow instructions from emergency personnel on the scene. particular building, several rooms may be necessary. • Shut and lock all windows and close exterior doors. • Turn off air conditioners, heaters, and fans, if possible. • Close vents to ventilation systems as you are able. • Make a list of the people with you and ask someone to call the list in to Rollins College Campus Safety at 407-646-2999. • Turn on a radio or TV and listen for further instructions. • Remain calm and make yourself comfortable.